NEWS – For several years, my primary computer was an iMac and I loved everything about it except for one thing. Apple hid all the ports on the back of the iMac making them awkward and annoying to access. It’s been a long time since I switched from an iMac to a MacBook, and even now, years and several computer updates later, Apple still hides the ports on the back of the iMac. Luckily we have companies like Satechi that build products to solve problems like this. 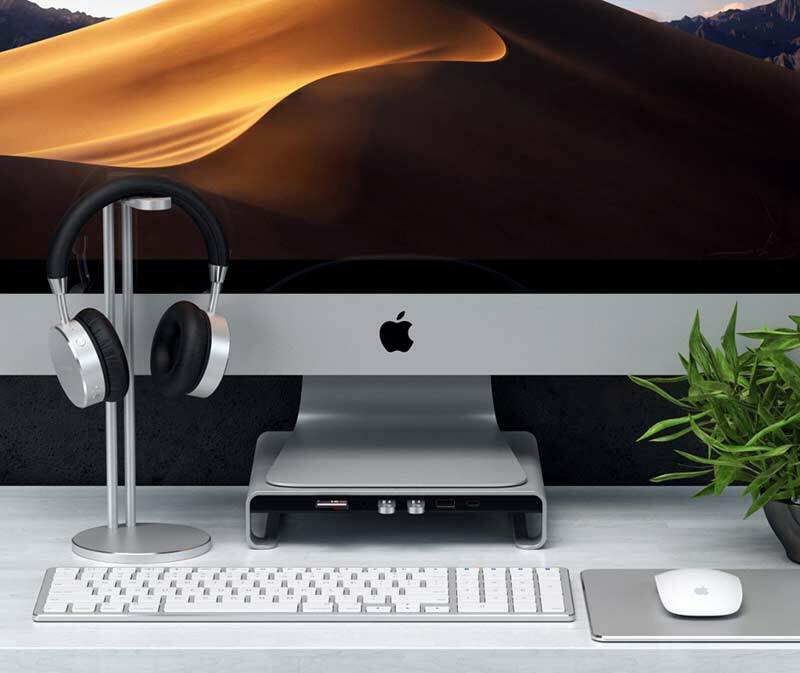 Their new Type-C Aluminum Monitor Stand Hub is both elegant and useful. 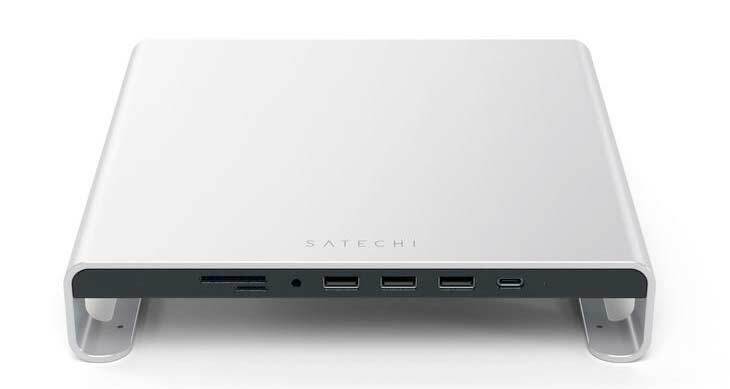 The hub brings an SD card and a micro SD card slot up front along with a 3.5mm headphone jack, 3 USB 3.0 ports, and a Type-C port. But that’s not all, it doubles as a monitor stand to raise the iMac 1.63 inches off your desk. The hub is available in silver or space gray for $89.99. You can read more about it by visiting satechi.net and Amazon.